The Argentines have an important link with Italy, as they have received many immigrants from that country throughout its history, particularly during the first and second world war. These immigrants are established along the Argentinean territory. So, today many Italians and their descendants live in Argentine and they all retain intact their customs and culture. So when an Argentinean wants to visit Italy, he does not require a visa, he has free access to that country because of this relationship between the two countries. 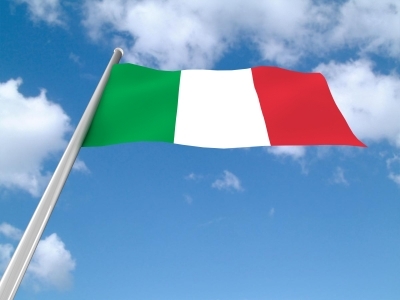 Many descendants of Italians have the opportunity to request Italian citizenship. This article will explain what is required to comply with this procedure, that is, how to request your Italian citizenship if you are a descendant of an Italian citizen or you are married with one of them. – The applicant must be a direct descendant of an Italian citizen, whether his father, grandfather or great-grandfather. Besides, the Italian male citizen parent should never have renounced to the Italian citizenship. – If the parent is an Italian woman, only are considered Italian citizens the children of these women born after 1948. – If you claim your citizenship because your grandfather was Italian, you must collect all the information that proves your relationship with him. – You must submit documents such as birth or death certificate (if they are deceased) of the descendants included in the application. – These items must have been given in Buenos Aires; otherwise they must be endorsed by the Ministry of Interior. – If you are an Argentine man and you married an Italian, after three years you can claim your Italian citizenship. – If the marriage has taken place in Italy, the time to apply for such citizenship is reduced to as little as 6 months. – It is also considered an Italian citizen a woman who marries an Italian citizen born before April 27, 1983. – Women who are married to Italians born after that date must wait three years of marriage in Argentinean territory before applying for citizenship. – If the marriage takes place in Italy, wait only six months to apply for citizenship. Finally, note that any document either birth or death certificate must be an original translated and validated by the foreign ministry of Argentina. You should have a copy of any document submitted with the application. The Italy government validates all documents and assesses the veracity of what is sent. It is mandatory to present any documents requested without exception.